Derek Bok’s Higher Education in America appeared a few months ago, and presents over 400 pages of description, analysis, and temperate criticism of American colleges and universities today. (It would have been useful if he had provided a short policy companion, pulling out central concerns and key recommendations for reform, keyed to the full text.) The book includes treatments of research universities, community colleges, public comprehensive universities, private liberal arts colleges, for-profit schools, and professional schools (medicine, law, business). One point that Bok understands very well is that each college or university is an institution in the technical sense — a set of governance rules, power blocs, constituencies, leaders, and missions and goals. The overall effectiveness of the college or university is the net product of the workings of these various factors, and it is valuable to try to uncover some of their system properties. Do systems of published student evaluations of teaching push faculty towards grade inflation? Do formal rules of faculty governance obstruct needed processes of internal reform? Do presidents and senior administrative officers have built-in incentives to create administrative bloat and mission creep? 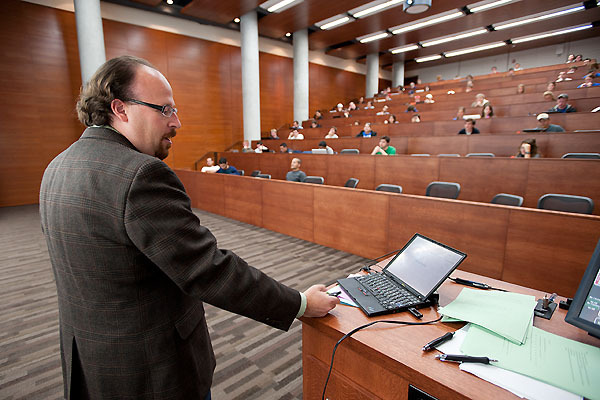 Do faculty prefer lecturing because it is a time-saver? This is where the expertise and experience of people like Michael McPherson, Bill Bowen, and Derek Bok come into particular importance. They have been at the center of these kinds of institutional ensembles and have gained important practical insights into what works and what doesn’t when it comes to leading a process of change in a university. And they each take the approach that this is a complex empirical process and must be studied using appropriate tools of empirical investigation. One theme that I found particularly useful in Higher Education in Americais Bok’s treatment of undergraduate education and curriculum. Bok underlines the value of a broad university education at every level — for the individual, for the business who hires him or her, and for the society. So the idea that an undergraduate education should have breadth across the sciences, social sciences, and humanities finds support in some of the empirical research that Bok cites. And Bok finds broad consensus among university faculties about the most general intellectual skills that need to be cultivated by a university education: critical thinking, capacity for self-directed learning, mastering knowledge in a discipline, and developing ability to write and communicate clearly (167). Along with these skills there is broad consensus as well about fostering tolerance, developing creative abilities, improving racial understanding, and developing moral character. So how well does the typical university curriculum do in fostering these skills? Bok finds that there is empirical research on this topic, and it supports the conclusion that students typically make measurable progress with regard to core learning goals through their undergraduate years. 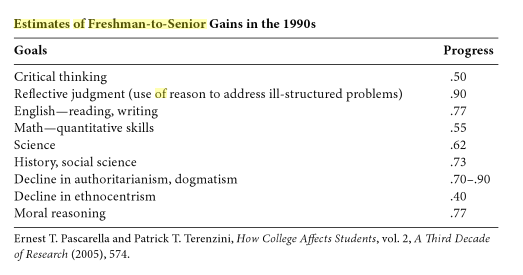 Here is a summary table from Ernest Pascarella and Patrick Terenzini, How College Affects Students: A Third Decade of Research: 2 (Bok, 179). What this suggests is that university faculty and administrators — deans, provosts, directors — should be paying a lot of attention to the best available ways of measuring progress in key intellectual skills, and equally they should be paying attention to curricular and pedagogical innovations that can improve attainment. If lecturing about the fundamentals of organic chemistry can be shown to be less effective than small-group interactive discussion, reading, and experimenting, then surely faculty and administrators need to find ways of modifying the classroom experience so that the more effective approach is taken. Put it another way: the learning and teaching experience in a university is a complex amalgam of faculty, students, curriculum, prevailing pedagogical approaches, and assessment tools. We should be working intelligently to understand each component of this system with an eye to improving the overall results. Bok then describes the changes that these physics professors introduced into their teaching to improve their students’ basic understanding of the physical principles. One such change aligns with the idea of “engaged learners”: “Rather than lecture extensively, they should spend much of the time in class having students grapple with problems raised by their readings. In many subjects, students will gain more from such exercises if they work in groups where those having trouble grasping a concept or solving a problem can get help from fellow students” (189). This in turn dovetails with the idea that is emerging in the digital learning context of the “flipped” classroom: lectures and demonstrations are relegated to multimedia materials on the web that students are required to study, and the classroom is reserved for discussion, problem solving, and active engagement with the principles involved in the online materials. There is a great deal more of interest in Higher Education in America — on medical education, on business curricula, on faculty governance, on presidential leadership, and on the challenges and necessity of change within universities in the current environment. The book is worth reading carefully by faculty leaders and university administrators as they make their best efforts to enhance the educational effectiveness of their programs. I recently spent a half day visiting Detroit with some very perceptive university colleagues. We visited the university’s center on Woodward Avenue, the Riverfront Conservancy, and the Madison Building — all places where exciting signs of change are underway. Along the way we heard a lot of enthusiasm about the progress Detroit is making: more professional jobs downtown, residential and commercial real estate at 95%+ occupancy, entrepreneurial companies, $75 million invested in a spectacular river walk along the Detroit River, some very talented high school students coming out of several of Detroit’s best high schools. The most common reaction in the group to what we saw was a positive one. Detroit is better off than the media portrays it. There are powerful processes of renewal underway that will change the future of the city for all its inhabitants for the better. The reinfusion of businesses and middle-class residents will improve the tax base and the city’s fiscal sustainability. And somehow these benefits will trickle out to the neighborhoods. Or not. Like others, several of us noticed that these developments in downtown Detroit (Campus Martius, the Woodward Corridor) have had very little effect on the neighborhoods where 80-90% of the city lives. The sports, arts, and dining destinations are great — but they don’t have much to do with Detroit’s blighted neighborhoods. Unemployed high school dropouts aren’t going to be offered jobs in the high tech startups. So what is the future for the impoverished and undereducated youth of this city? The theory I was testing in my mind was Loic Wacqant’s concept in Urban Outcasts: A Comparative Sociology of Advanced Marginality of fundamental marginalization–a sub-population of people with no avenues of opportunity and no hope for the future (link). This view implies that the segregated urban enclaves of American cities like Chicago, Washington, or Detroit offer virtually no prospect of social mobility for the young men and women who grow up there. Is that too bleak? Does it overlook or underestimate pathways of mobility that can bring substantial improvement for life expectations for this community after all? Or is permanent impacted poverty and disaffection the more likely outcome? I talked with two other participants in this visit who disagreed with the “permanent marginalization” view in interesting ways. Both of these people were African-American men who had grown up in metro Detroit. One, born in 1970, took issue with the youth-hopelessness part of the picture. His view is that Detroit is significantly different from Chicago (the city Wacquant studied most closely), because Detroit is a majority black city. So he thinks teenagers in Detroit have an optimism their counterparts in Chicago lack. He also thinks the lower residential density of Detroit is an advantage. Young people are less oppressed by racism because they are part of a population that governs the city. By contrast, he argues that the black population of Chicago looks at the city as a white city and they feel powerless. So urban despair is deeper in Chicago. The other person in the conversation had what is in someways a view even bleaker than mine. He is a distinguished social scientist born in 1940. He too grew up in the Detroit metro area. He commented that the developers’ vision is really a picture of a white city. “This is a white vision of Detroit’s future.” He predicted that in 25 years the black population of Detroit will be largely gone, replaced by a more affluent white population. Wow! The “permanent marginalization” view is a dark one, but it is not passive. Rather, it undergirds the idea that the structures of race and segregation still present in our society have embodied enduring and intractable inequalities, and only deliberate, sustained, and committed efforts will allow us to resolve these problems. Our cities need structural change and substantial public investment, deliberately aimed at breaking the circles of poverty, race, inferior education, and disaffection, and sustained over decades rather than years. The developments we looked at during our visit are certainly important steps forward for the city. 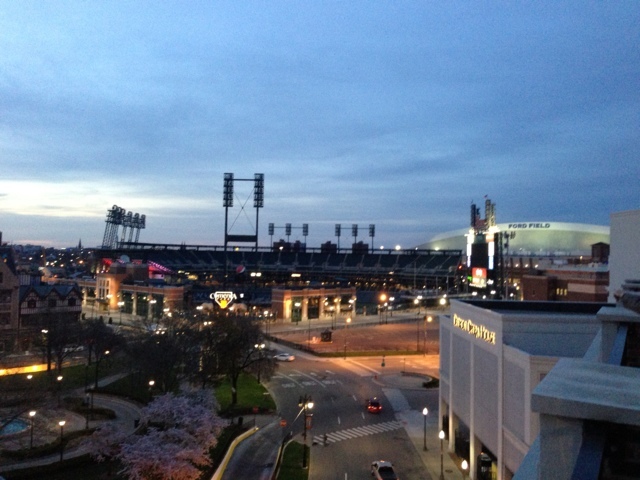 And the business leaders who are stimulating these developments are committed to improving Detroit’s future. But I’m not yet convinced that these developments can lead by themselves to the transformation of the lives of the whole population of the city, black and white, without other initiatives that are directly aimed at breaking down the barriers of race and poverty that imprison so many of Detroit’s young people. Are there online solutions to rising college costs? Moreover, Bowen correctly notes that processes leading to productivity gain in other parts of the economy have not been possible in the teaching and research environment. Teaching undergraduates is a time-consuming activity for skilled professors, and reducing the time per student means lowering the quality of learning that occurs. Bowen quotes Robert Frank who observed that “it still takes four musicians nine minutes to perform Beethoven’s String Quartet No. 4, just as it did in the nineteenth century” (4). Bowen also spends some effort on analyzing “productivity” in the context of universities. Some aspects of university outcomes are easily quantified — degrees awarded, time to degree, performance on standardized tests. But Bowen makes a key point when he observes that perhaps the most important outcome — educational quality — is not measurable; and yet leaders, faculty, and managers of universities must remain committed to maintaining and enhancing the quality of the education they provide. And quality has a cost. Bowen makes interesting use of a New England Journal of Medicine article on IT innovations and productivity; link. Here is a relevant publication from the National Academy Press authored by Teresa Sullivan and others, Improving Measurement of Productivity in Higher Education (link). 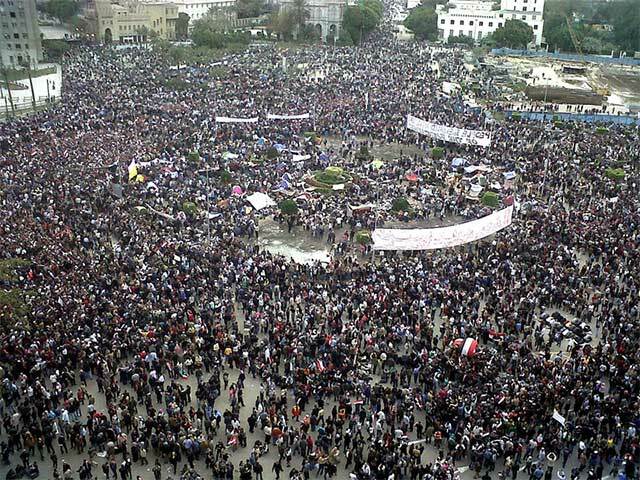 In order to fundamentally change the cost structure of a university education, it would be necessary to do one of two possible things: either significantly increase the number of students for whom a single faculty member is responsible (greatly increasing the student-faculty ratio), or increase the number of lower-paid instructors whose job responsibilities are more limited than the current system (full responsibility of all details of a single course, research activity, participation in departmental affairs, …). Both of these pathways seem like significant steps away from the learning intimacy that Bowen extolls in the experience of a residential college. “Flipping the classroom” and maintaining or increasing the amount of faculty contact with students sounds like a great learning solution — but it doesn’t reduce costs. What is most interesting about the book is the second lecture, “Prospects for an Online Fix.” Since many breathless voices have started to argue that online education and MOOCs are a breakthrough technology for universities and colleges that will render the traditional classroom obsolete, Bowen’s take on this question is an important one. His overall assessment is a measured one. He thinks that there is some reason to expect that blended pedagogy and curriculum may in fact be possible in ways that enhance learning and reduce the cost curve. But he also points out that there are only a limited number of rigorous studies of learning outcomes for online and face-to-face instruction, and these studies do not support a clear advantage for either modality. Essentially the most common findings are that learning outcomes are roughly similar in online and face-to-face classes. More importantly, though, he finds that there is very little rigorous research available to evaluate the possibility of cost savings through online instruction. And without significant (and growing) cost savings, the technology shift does not affect the cost curve. So where does Bowen’s current cautious optimism about online and blended instruction come from? Several things seem to have influenced him since his Romanes Lecture at Oxford in 2000, which was significantly more dubious about the prospects for cost-reducing, effective online university instruction. One is the cluster of innovations in software-based quizzing, coaching, and tutoring that have occurred in the past ten years. Another is the finding of some studies that faculty and online course designers are beginning to get the hang of how to use the online medium to greater pedagogical effect than simply placing a traditional course online with existing materials and techniques. And a third, on the learning-outcomes side, is the educational payoff that may result from “flipping the classroom” — relieving the faculty member from lectures and using face-to-face time for discussion, coaching, and probing of learning quality. The kinds of courses that are most frequently studied in research about online education are generally on the technical side of the curriculum: statistics, accounting, and calculus have been studied for learning outcomes by both approaches. We might imagine that entry-level courses in the sciences, engineering, and business might fall in the same general scope. But what about courses in humanities, human resources, marketing, ethnography, history, or sociology? Are there online pedagogies that would offer an effective base for learning in these fields? How can we be assured that the abstract cognitive and analytical skills associated with art history, philosophy, or computer design are actually being developed in the students who take these kinds of courses online? 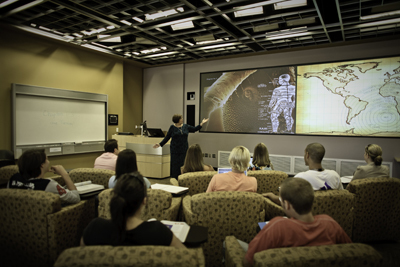 Faculty collaborate more on teaching (with technology serving as the forcing function)? Faculty devote more of their time to promoting “active learning” by their students and are freed from much of the tedium of grading and even giving essentially the same lecture countless times? Students receive more, and more timely, individualized feedback on assignments? Instruction is guided by evidence drawn from massive amounts of data on how students learn, what mistakes students commonly make, and how misunderstandings underlying those mistakes can be corrected (“adaptive learning”)? Technology is used to bring the perspectives of a more diverse student body onto its campus through its capacity to engage students from around the world? What is surprising to me about Bowen’s current optimism is that it seems premature, given Bowen’s own commitment to rigorous measures of quality and costs. As he points out repeatedly in the lecture, the high-quality studies of educational effectiveness are not yet available in sufficient volume to permit confident conclusions; and studies of the cost structure of online and blended instruction are even less detailed. But more concerning is the issue of defining more adequately the kinds of intellectual and social maturation we most want to stimulate with an undergraduate education, and whether the pedagogies that emerge in online education are effective in creating those forms of development. It is one thing to help a student learn the central doctrines of Descartes, Hume, and Kant as a list of propositions; it is quite another to help him or her to think critically, creatively, empathetically, and innovatively about the philosophical developments and social context that stimulated these ideas about rationalism and empiricism. A related concern is the problem of generating student engagement in learning. The best classes I have had in my career as a philosophy professor have been those in which students gained an excitement and engagement with the issues which led them to want to learn more about the subject. They wanted to discuss ideas in the class and outside the class; they were happy to be steered towards additional readings; they took on the subject matter as their own. How does this form of intellectual engagement emerge from an online class? How does the learning become personal? How does the student acquire a stake in the learning and an intellectual passion for taking it further? Bowen recognizes the importance of direct contact with professors in generating this kind of engagement (67-68); but he suggests, somehow, that this personal contact will be increasingly the province of the richer institutions. “The mix will vary by institutional type, and relatively wealthy liberal arts colleges and selective universities can be expected to offer more in-person teaching than can many less privileged institutions” (68). But what if the in-person contact is actually the secret sauce — the ingredient that makes the recipe work? I still remember taking the GRE in philosophy as a senior philosophy student at the University of Illinois in 1971. It struck me as being no more than a scholastic joke, probing for the student’s knowledge about names and key doctrines in the history of philosophy without any real ability to assess philosophical cognitive skills. This standardized exam had nothing whatsoever to do with real philosophical thinking, or the skills of reasoning and questioning that begin to contribute to one’s being a capable philosopher. I fear that online education in philosophy and other areas of the humanities would be vulnerable to exactly this fatal weakness: emphasizing facts and formal structures of doctrines, but giving short shrift to development of the critical skills that are needed to make sense of the issues in the field. Could we imagine Wittgenstein without Frege and Russell? France has 83 state-supported universities and well over a million undergraduate students in university. After visits over several years to one of these universities and conversations with faculty and students, however, I have come away with some troubling impressions, especially in the humanities. The crux of the apparent problem is a pervasive lack of concern for undergraduate students’ learning outcomes on the part of the universities and many of the regular faculty. Part of this problem derives ultimately from a chronic lack of funding for the universities. Facilities on many campuses are decrepit, and the ratio of students to faculty is quite high. Students are admitted to the university and are charged very low tuition; but sufficient public resources are not made available to allow the university to offer them a high-quality, challenging education. Another part of the problem is an over-emphasis on research over teaching. Research achievement is certainly an important national goal. 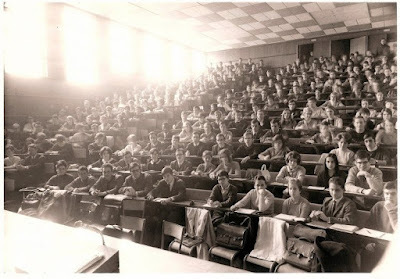 But there is a degree of research fetishism that seems sometimes to overwhelm the other values of the university in France, including quality of teaching and learning. This over-emphasis on research within the university is found at the level of the ministry. And it seems to percolate downward as well, to individual campus administrations and to individual faculty. The impression one gets is that only research accomplishment is valued, and there is very little value given to effective teaching, either institutionally or individually. High-prestige research publications are the ticket for career advancement for the faculty member; and nationally visible research achievement is the coin of the realm for university leaders. This value scheme leaves out the undergraduate student almost entirely. But this gives woefully short shrift to the project of creating the next generation of creative, skilled, rigorous thinkers who will constitute the main source of innovation and new knowledge in the France of tomorrow. Currently the universities do not appear to be succeeding in focusing on this crucial task. And then there is the problem of the turbo prof. This is a very broad phenomenon in the university world of France today that was largely created by the extension of the TGV network of fast trains connecting many secondary cities to Paris with 90 minute journeys. This has helped create the phenomenon of the “turbo prof” — academics who live in Paris and commute to Tours, Dijon, Strasbourg, or other regional centers. There is a long history of French academics preferring Paris to the regional cities. But now it is possible to live in Paris and spend a day and a half on the regional campus where the academic has an academic appointment. This phenomenon would not be troubling if the turbo prof kept up his or her part of the bargain: committed teaching, adequate time on campus to advise and assist students, and a reasonable degree of involvement in the intellectual and institutional life of the university. But this is all too often not the case, it appears. Instead, the amount of time spent on the university campus is often reduced to a two-day period of intensive lecturing. The prof travels from Paris on a Monday morning; reaches the campus by 11:00 am; lectures six hours on Monday; stays in a pied-a-terre or hotel room Monday night; lectures another six hours on Tuesday; and returns to Paris in time for dinner on Tuesday evening. It is easy enough to forget about those undergraduates in Tours, Strasbourg, or Dijon by the time the TGV slides into the Gare de Lyons or the Gare de Montparnasse or the Gare de l’Est. This is very worrisome for the economic and civic future of France. University is a time during which students need to be stretched, challenged, and deepened in their intellectual capacities. But this isn’t likely to happen when they have essentially zero contact with faculty, very limited writing assignments, and a very low sense of accountability for their progress on the part of the university. This is also a hazardous reality for the permanent faculty of these universities. If it becomes apparent that their very limited efforts in their teaching roles make almost no difference in the process of development and maturation that their students achieve, then it is a very short step to concluding that their services are not needed. The few who are genuinely important research scholars may find alternative employment in research institutes, of which France has a fair number. But the idea of a teacher-scholar will be dead. And the next rank of less accomplished researchers will need to look for work outside of academia — not a very encouraging prospect in France today. The institutions governing higher education in France need to take these problems seriously. Universities need to refocus their attention on effective, transformative undergraduate education. Faculty need to be re-enculturated to give sincere adherence to the importance of their teaching responsibilities and contact with students. The turbo profs need to extend their work weeks on their regional campuses to a reasonable level — at least three full days and preferably four. And the Ministry of Higher Education and Research needs to impose real standards of accountability on universities and departments, along the lines of the accreditation processes that exist in North America. And it goes without saying — those accountability standards need to be focused on the primary values of the university, not the market value of this degree or that. It is ironic to me that the sociology of education is a much more prominent part of the sociology profession in France than it is in the United States. Much attention has been given to the effects that the educational system has on class stratification, beginning with Bourdieu and Passeron, Les Heritiers: Les etudiants et la Culture, and extending through Mohamed Cherkaoui’s École et société : Les paradoxes de la démocratie (French Edition). And yet I haven’t been able to locate anything that focuses on the question of educational quality, the educational progress that undergraduates make, and the institutional and individual practices that interfere with educational progress in the universities. Here is an OECD quality assessment report compiled in cooperation with Universite Louis Pasteur in Strasbourg (link). This document has many of the dimensions of an accreditation report in North America. And it illustrates several of the problems mentioned above. 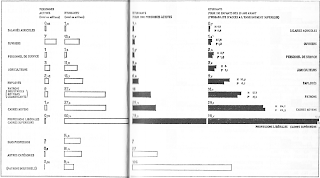 The report gives substantially more attention to research activities than teaching effectiveness; the university’s response to this issue when raised in 1985 was essentially nil; and the one effort at implementing measures of teaching quality assessment that was undertaken — student surveys of educational satisfaction — was evidently discontinued. The report highlights continuing issues having to do with the effectiveness of undergraduate education: “the excellence of teaching in the postgraduate cycle and the shortcomings of the other cycles, with emphasis on the lack of performance indicators, especially as regards graduate employment; …”. Here is a recent news story on the funding issues in French universities (link). French readers — what are your observations about undergraduate education in French universities? Universities are large, complex organizations that have multiple goals — educating undergraduates, training graduate students, facilitating and expanding research activities, serving various communities. Each of these activities depends on complex contributions by very smart faculty and administrators, often in a highly decentralized way, and each can be more or less successful. The individuals involved are generally motivated to do the best work they can do. But the organization and its leaders have a responsibility to take steps to improve the quality and effectiveness of the results. contributing to the improvement of quality of life for the communities served by the university (region, state, city, nation). We might add to these core characteristics several others: creating an inclusive environment for working and learning; creating a high sense of morale and shared aspirations for students, faculty, and staff; maintaining and increasing academic quality while reducing costs. These high-level goals of a university cannot usually be measured directly. Therefore we need to have some set of factors that are closely related to the quality goals but that can be observed empirically. Quality measures in higher education are varied, but they include things like these: graduation rates, levels of Federal research funding, percent of Pell-eligible students, number of citations to faculty-authored research, number of patents issued, number of members of the national academies on the faculty, … There are steps that a university administrator or dean can take to influence any one of these variables; but all interventions require resources, which means that choosing to increase the graduation rate may mean not taking steps to increase the number of patents. More fundamentally, fine-tuning one part of the university’s processes may actually interfere with the workings of its other processes. There are two large philosophies that might drive the idea of increasing the quality of a university over time. One is the philosophy of continuous improvement. Here the idea is that the university is already functioning at a certain level of effectiveness in a range of activities; the imperative is to increase the effectiveness, quality, and productivity of all of those areas, giving primary emphasis to those that have the greatest impact on core values. This is a philosophy of gradual improvement and refinement. The second philosophy is one that pays attention to the need and opportunity that sometimes exist for radical change in product and process for the organization. This philosophy downplays the idea of continuous improvement and argues instead for “punctuated equilibrium” — the need to sometimes take actions that fundamentally change the nature of the enterprise in some way. The idea that instruction should be substantially more oriented towards online courses would reflect this philosophy; it corresponds to those critics of higher education who believe that universities are like film-based camera companies in the 1990s facing the sudden appearance of digital photography. Either they adapt quickly to a new disruptive technology, or they fail catastrophically in the market. A philosophy of continuous improvement would not have served the buggy whip industry well in the 1910s; whereas a philosophy of punctuated equilibrium doesn’t seem to be appropriate for shipping industry at this point. (It was appropriate at the time when containerized shipping was a hypothetical possibility!) So there is no reason to believe that either “gradualism” or “punctualism” is always the best option for an organization. So what kinds of changes are needed and feasible for universities in today’s environment? This will be a disappointing answer, I’m sure, but I think the answer is: some of both. There are many improvements that can be identified in the ways that universities handle the various components of their missions. Improving retention and graduation rates is a case in point; there are many new strategies that could be incorporated to help students be more successful in their academic progress. Peer-based tutoring is one example; online tools for checking progress towards graduation is another; and improving the quality and reach of the academic advising system is a third. But it is also true that there are opportunities for discontinuous improvement in the existing university. For example, could the resource of a well-developed online course with rich media materials and evaluation systems allow the business faculty member to effectively teach accounting to twice as many students? Could a high-level learning goal for students (e.g. “ability to sort out contextual factors in a complex problem”) be better achieved by closer coordination among clusters of faculty and courses rather than by a general education curriculum that assigns one goal to one course? Is the traditional Ph.D. dissertation an antiquated ritual rather than a crucial learning opportunity for advanced students? What are the reasons for this educational philosophy? What advantages does it offer in helping to develop the intellectual capabilities of the student? Other national systems of higher education place the balance somewhat differently. For example, in France and Germany it is expected that university students will have received a broad education in secondary schooling, and that the university is a place for specialized education in a discipline. However, American educators have multiple reasons for thinking that a broad general education is a crucial component within the process of intellectual maturation and development that is the goal of an undergraduate education. These reasons fall in several categories: preparing young adults for thinking innovatively and imaginatively; helping young adults to recognize the historical and social context of the problems and processes they study; helping students to deal with moral and political issues in a thoughtful and critical way; helping young people to recognize the value of racial and ethnic diversity within a modern society; building a foundation for deep interdisciplinary work and study at later stages; and cultivating the skills of independent critical thinking. Imagination and innovation. Most people would agree that the challenges of the twenty-first century, whether in China, Brazil, or North America, will require new ideas and innovative approaches. This is true in business; creating new products and solutions requires great creativity. But it is true in social and political life as well; the social challenges all modern societies face cannot be resolved by simply applying “off-the-shelf” solutions. So cultivating an ability of young people to think with originality and creativity is a major priority for educational systems in every country. And a broad liberal education is very well suited to developing these features of thought. When a student has struggled to provide interpretations of a difficult poem, or to understand the cultural practices of modern Navajo people in the American southwest, or to genuinely comprehend the theory of natural selection that Darwin proposed – the student will have created for himself or herself a set of mental skills that would not have developed if her education were restricted to a single discipline and its methods. Too much “paradigm dependence” discourages creativity. Social and historical context. The important problems that modern societies face are rarely confined to a single academic discipline. And there is often a very important component of social and behavioral complexity to even the most technical of contemporary problems. 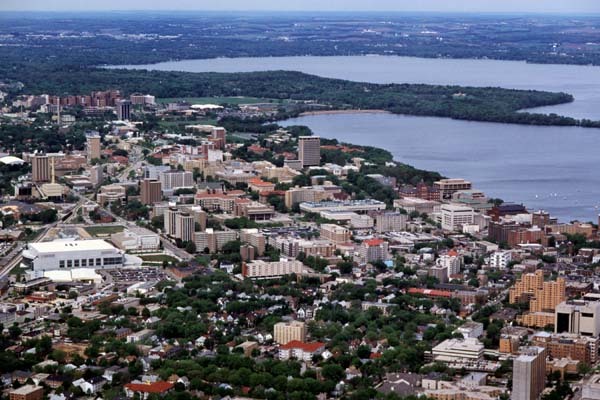 Suppose that a city is concerned about automobile traffic congestion, and that the civil engineering experts who consult to the city propose adding an additional tunnel to provide more capacity for an important river crossing within the city. This might be looked at as a civil engineering problem, and it is, to a certain extent. But even more importantly, it is a problem of human behavior. What will be the behavioral consequences of an additional tunnel? Sociologists may provide a basis for thinking that the additional tunnel will increase congestion rather than decrease it – because more drivers will be encouraged to think that there is a more convenient way of driving to their destination. So the unintended consequence of the civil engineering project is to increase rather than decrease the social problem it was designed to solve. (This is approximately what has been observed in the experience of the third harbor tunnel in Boston.) When students have been trained to look within a problem to discover its historical context and its social dynamics, they are likely to solve problems more effectively. Moral and political thinking. It is an important social goal that our society needs to create young people who will be moral persons and engaged citizens. But behaving morally and exercising the duties of citizenship are skills that we need to learn. Both require a sophisticated ability to analyze and reason about behavior and about the needs of society. A broad liberal education is well suited to giving young people the intellectual skills associated with thinking critically about difficult moral and political issues. For example, suppose a person has received a medical education but now needs to make ethical decisions about possible treatments for some of his or her patients. The concept of “informed consent” is a complex moral idea, and it is not self-evident. After all, if the physician himself is confident that a treatment will benefit the patient, why should he need to gain the consent of the patient? There are very basic moral reasons why this should be the case; but unless the young doctor has had extended experiences in analyzing and debating moral issues, he is poorly prepared for solving this practical issue in his own practice. The value of diversity. A broad liberal education is a very good basis for learning to understand and value the perspectives of people whose racial, ethnic, or cultural backgrounds are very different from our own. Literature is one such tool. When students read and discuss a book like The Fire Next Time by James Baldwin, they are quickly drawn into an understanding that the perspective of an African-American writer from the 1960s is profoundly different from their own. And they begin to see that their own parochial interpretation of the events around them is just that – parochial and limited. It is important to have the tools that permit young citizens to understand these diverse perspectives. And, as Scott Page documents in a recent book, when we are successful in incorporating diverse perspectives into concrete problem-solving contexts, we get better solutions (The Difference: How the Power of Diversity Creates Better Groups, Firms, Schools, and Societies (New Edition)). Interdisciplinary studies. Problems like global climate change cannot be effectively addressed from the point of view of a single academic discipline. Climate change involves ocean chemistry, atmospheric dynamics, international politics, and individual behavior. And no single discipline can be the basis for a policy that will effectively address climate change. This means that it is very important to create an intellectual environment that favors interdisciplinary cooperation. A broad liberal education can do that very well. When a student graduates from a good liberal arts university in the United States, he or she has a reasonably good grasp of some areas of natural sciences, quantitative reasoning, policy analysis, and historical context; and he or she is able to think critically and communicate effectively with others. This means that the undergraduate student is in a very good position to be a part of an extended interdisciplinary research or policy effort. In short, the advocates for a philosophy of liberal education believe that a liberally educated student is best prepared to be a critical and innovative thinker; a person who is well prepared to think with originality about novel problems; a person who has learned to look for the social and historical context of the problems he or she confronts; and a person who has a sophisticated ability to think about complex moral and social issues. This individual is likely to be a productive contributor to the organizations he or she joins later in life; he or she is likely to be an engaged citizen and a moral person; and he or she is more likely to embody the qualities of respect and civility that are crucial for collaboration and public life. One of Nussbaum’s talents is to bring important issues of value and morality into engagement with the real world — women in development, the role of ethical thinking in great fiction, and the ways in which the world’s religions intersect with important value questions we face today. She rightly sees that purely philosophical reflection on these important issues will not take us as far as an approach that brings together analytic thinking with real historical and sociological inquiry. 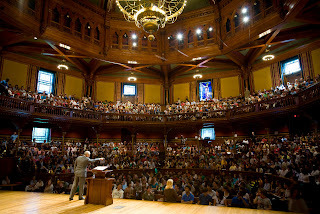 Nussbaum’s thinking about liberal education is especially important today. 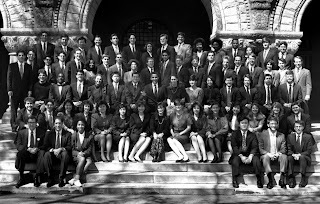 Her Cultivating Humanity: A Classical Defense of Reform in Liberal Education provided a fresh and vigorous defense of the value of liberal education when it appeared in 1997, and it has gone on to wield influence on faculty and administrators as they engaged in curriculum reform in subsequent fifteen years. The appearance of Not for Profit: Why Democracy Needs the Humanities is a welcome addition to this line of thought. Her point of view is an urgent one: our collective philosophy of education has gone off the rails. Moreover, she believes that it is crucial that these experiences and opportunities for development should be available to the widest possible slice of American society — not simply the students in elite colleges and universities, but in the full range of colleges and community colleges in which the great majority of American young people receive their post-secondary educations. Though she doesn’t put the point this way, perhaps it amounts to a claim that there are two value systems within which education exists. One is utilitarian and profit-oriented; the goal of education is to produce the most productive workers possible and to permit rapid economic growth. The other is moral and political; it has to do with instilling the values of democracy, justice, and humanity in young people as they prepare themselves for leadership in their generation. And the crisis she delineates is the result of favoring the first value system while ignoring the second. This is important for the way we structure our institutions; it is equally important for how young people come to think about their lives. Why are these qualities so important for a democracy? Nussbaum doesn’t answer this question very specifically, but I think we can fill in the blanks. A modern society always embodies large group differences, competing interests, regional disagreements, religious and ethnic diversity, and other sources of strife. If we don’t work fairly intelligently to create citizens who have qualities of mutual understanding and tolerance, and who have some of the capacities that underlie collaboration and compromise, then a democracy has the potential of unleashing great conflict and polarization. So building a compassionate and temperate citizenry is a necessary step towards creating a vibrant and flourishing democracy. This is a book that educators and policy makers should read attentively. It is pragmatic and clear, and it sets a very different agenda for the goals that we should pursue in designing a university education. Her own moral commitments come through clearly — a commitment to social justice, a passionate recognition of universal human equality and worth, and a cosmopolitan view of our moral relations to people in other countries. A decent society has shared commitments that extend beyond a desire for economic wellbeing; and these commitments are a great foundation for a successful democracy. 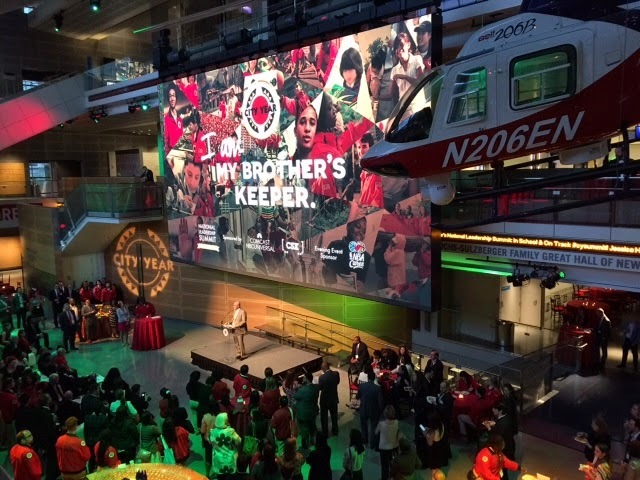 City Year’s mission is to build democracy through citizen service, civic leadership and social entrepreneurship. It is through service that we can demonstrate the power and idealism of young people, engage citizens to benefit the common good, and develop young leaders of the next generation. In the coming year something like 2,500 corps members will contribute a year of service in some 24 cities in the United States and another four cities internationally. Secretary of Education Arne Duncan offered a keynote address to this month’s City Year leadership summit in Washington that made it clear how important City Year’s goals are for the nation as a whole. Duncan describes this as the civil rights issue of our generation. 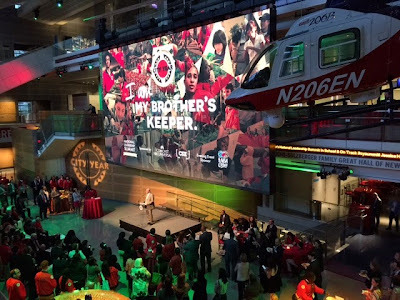 One thing that I find interesting about the evolution of City Year over the past ten years is the refinement of focus its leadership has effected with regard to the way in which the talents and energy of corps members are deployed. Michael Brown has proven to be a highly effective leader (as well as co-founder), and he has drawn a strong group of senior leaders around him. In the early years the focus was on the value of youth service, allowing young people to contribute to the improvement of their communities in a variety of ways. For the past eight years or so the organization has come to the realization that service by itself is not enough. The service activities of the willing need to be coordinated around projects that can have real, sustainable impact. We need an effective and attainable strategic plan of action for service. 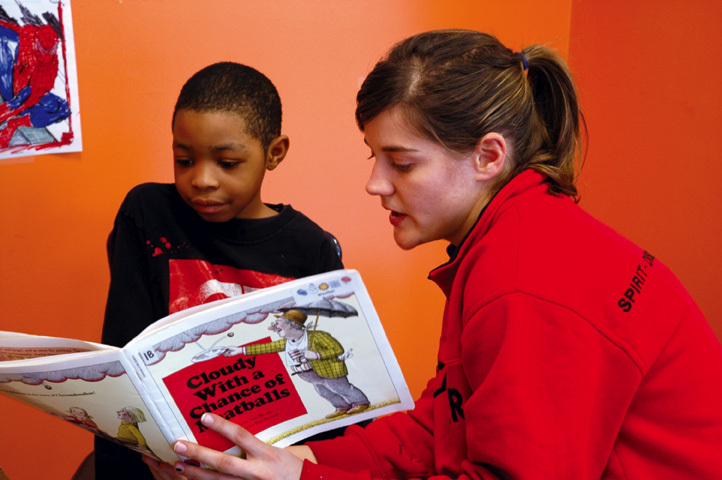 Involvement in schools has always been part of the palette of youth service at City Year. But in the past six years or so the focus has sharpened to allow City Year organizations in various cities to make a measurable impact on a very serious problem, the high school dropout rate in many American cities. In many cities fewer than half of a given cohort actually graduate on time. This failure rate has serious costs, both for the individuals and their families, and for the communities in which they live. And this problem is strongly stratified by poverty and race. As a result, in order to achieve the educational outcomes the nation needs, it must solve the poverty challenge. To do this, we need a deep understanding of how poverty impacts educational outcomes. Strong arguments can be made that the very reforms currently being championed at the federal and state level—a common core curriculum linked to college and career ready standards, improved teacher quality, and turning around the lowest performing schools—are essential to solving the poverty challenge. In order to overcome the poverty challenge, schools that serve high concentrations of low income students need to be able to provide direct, evidence-based supports that help students attend school regularly, act in a productive manner, believe they will succeed, overcome external obstacles, complete their coursework, and put forth the effort required to graduate college-and-career ready. 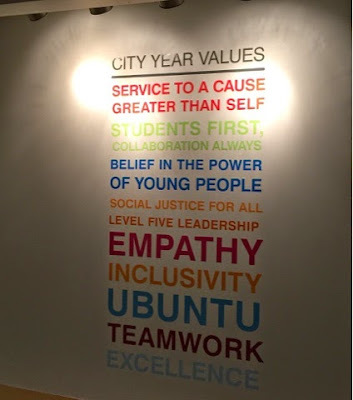 So now the agenda for City Year has now been focused more sharply. Teams of City Year corps members are placed in schools, including middle schools and high schools, and their time and effort are focused on bringing at-risk students up to par in each of these areas. They provide near-peer counseling, tutoring, behavior adjustment, and attendance support, and they often create very strong relationships with the students they help. A particularly focused program is in place in a select number of schools, called the Diplomas Now program. This is a cooperative relationship between City Year, Communities in Schools, and the Johns Hopkins educational researchers. And the assessment data for the schools is very encouraging. Dramatic improvements in the three areas of focus are measured across the country. The aspiration of the City Year national organization has been to reach 50% of the at-risk students throughout urban America. City Year’s In School and On Track initiative is designed to bring City Year corps members to 50% of all of the students falling off track in City Year’s 23 U.S. locations, which will require expanding the number of corps members to 6,000 and engaging school districts, the private sector and the federal government through AmeriCorps as partners. This is a big goal. What is impressive is the fact that City Year is making real progress towards attaining this goal. (Here is a press release documenting recent progress.) And this is in turn a very powerful example of how a social justice organization can actually make serious progress on a pervasive social problem. It can contribute to a “Race to the Moon” effort to ensure a high school equation for all of America’s young people, and a decent foundation for a college education as well. Here is a great animated video that City Year has produced to explain its current goals in addressing the dropout crisis. The role of education in social inequalities is difficult to assess, because it seems to have contradictory tendencies. On the one hand, improving access to education at all levels — from elementary school to graduate school — levels the playing field because it enhances the ability of everyone affected to realize their human talents and to pursue their goals with a greater foundation of cognitive and mental skills. Closing the literacy gap, the numeracy gap, or the technology gap across all of society gives the previously disadvantaged population a better chance to compete for success in seeking employment or creating other economic and social benefits for themselves and their families. Traditional sources of social inequality — positions of privilege in social hierarchies, privileged access to political benefits, disproportionate ownership of land and other forms of productive property — are to some extent blunted by a greater degree of equality of access to good schooling and the knowledge and skills it provides. So we might say that improving the quality and reach of a society’s educational system should be expected to reduce existing inequalities. On the other hand, access to education amplifies everyone’s talents — elite and disadvantaged alike. And more importantly, education proceeds through specific, concrete social institutions — schools and universities — and the quality and effectiveness of these educational institutions varies enormously across the face of a complex society. It is possible — perhaps likely — that these variations in quality will correspond to populations and neighborhoods in ways that align with patterns of prior advantage and disadvantage. So it is likely that we will have high-quality, effective schools providing education to advantaged groups; and low-quality drop-out factories providing education to the disadvantaged institutions. In this case, the education system might actually have the effect of deepening and entrenching the social inequalities that exist across groups. I’ve put this point in hypothetical terms. But we know that across much of the United States, this isn’t simply a hypothetically possibility. It is largely a fact on the American cityscape that schools vary in quality by race, poverty, and social status at the K-12 level. Affluent people are often served by good public schools, and they have the financial ability to choose good private schools if they are unsatisfied. Poor people are usually served by schools with severe disadvantages — under-resourced, dilapidated, endemic management crisis, disaffected teachers and principals. So it is hard to make the case that American public education is a powerful force for decreasing social inequalities. So what about American universities? Here the picture is more favorable. High school graduates who have gained the intellectual abilities required for succeeding at the university level — admittedly, often a minority of all graduates — have a range of choices that can genuinely erase most of the disadvantages of birth. A first-generation freshman from a low-income family can nonetheless gain a great engineering education or a great education in art history at an affordable public university; and this undergraduate success in turn positions him or her for future successes in graduate school or employment. So American universities do in fact deliver much of the promise of the theory of democratic education: broad access without regard to status or income, and substantial enhancement of life prospects as a result. Rather, it seems likely that the pathways that lead to career success are themselves facilitated by the social resources created for the graduate by his or her university: networks of alumni, the prestige of the degree, and the classmates and their families whom they come to know. The density of elite social networks seems to be a key part of the story; avenues into elite careers are facilitated by these contacts and social advantages. Contacts in government, politics, journalism, business, and Wall Street are richly available to the rising elite university graduate. 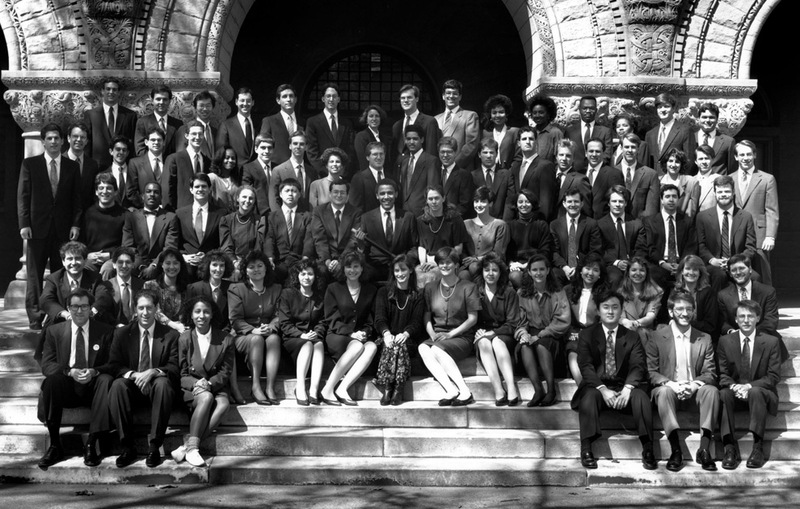 An elite university provides a great reserve of social capital for the graduate. and this is unrelated to the actual level of achievement and talent that the graduate possesses. Here are two empirical studies that complement these suspicions — one in France in the 1960s and the other in the United States in the 1990s. Both studies are interested in essentially the same question: to what extent do universities (French or American) provide equitable opportunities across social groups? To what extent are the universities in these countries effective agents for bringing about greater social equality? In spite of the pre-Pixar graphics, I think Edward Tufte would approve; the graph displays very economically the fundamental relationship that the authors want to highlight in the data. The left panel of the graph represents the sizes of the populations associated with various social groups as well as the number of students whose background stems from the group. The right panel aggregates these data by computing the percentage of students from each who enroll in a university. For children from the humble social categories, including workers and farmers, the likelihood of attending university was very small, ranging from .7% to 3.6%. Higher social categories had substantially greater rates of attendance, ranging from 16.4% for the children of the owners of businesses to 29.6% and 58.5% for the children of lesser and higher civil servants and professionals. From top to bottom, then, the disparity of odds for different social groups is staggering. The children of professionals and high civil servants were 85 times more likely to attend university than hired farm workers, and they were 42 times more likely to attend than the children of blue collar workers. They also look carefully at academic success and choice of professions by the social class of the students’ parents — a perspective which continues through the present. 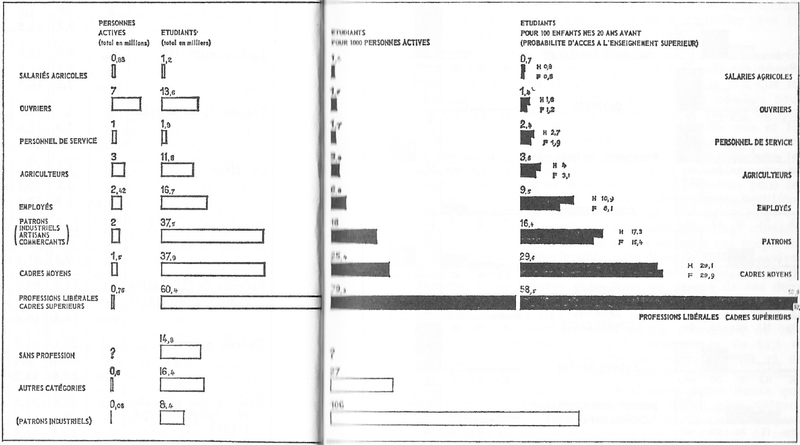 Naturally, these findings are specific to a point in time — 1961-62. No doubt these disparities have narrowed in the fifty years since Bourdieu and Passeron did this research. But they asked the right questions, and they established a perspective on French education that has continued to guide research in France. And second, the United States. William Bowen, Martin Kurzweil, and Eugene Tobin provide a careful, empirically detailed and historically nuanced treatment of these issues in Equity and Excellence in American Higher Education (2005 ). One chapter of Equity and Excellence is particularly relevant to the question here. In “The Elite Schools: Engines of Opportunity or Bastions of Privilege?” the authors consider a large data set of admissions and outcomes at 19 selective colleges and universities (94). It is a fascinating analysis. This looks at the issue from the point of view of “probability of attendance” — the focus of the Bourdieu-Passeron analysis. What about the outcomes of students from different socioeconomic groups who have successfully graduated from the elite institutions that Bowen et al survey? Does SES status influence career success? Bowen and his colleagues find that it does. First, a very crude measure: “The average income in 1994 or 1995 of a former student from the bottom income quartile was over $67,000; former students from the middle two quartiles had average incomes of between $73,000 and $75,000; and those from the top quartile had average earnings of nearly $86,000” (123). And an even more telling statistic when it comes to the sociology of American elites: “Just under 2% of former students from the bottom income quartile had a very high income 15 years out of college, while almost 6 percent of former students from families in the highest income quartile were themselves already in the top income category” (123). So socioeconomic background makes a difference all the way through; high SES graduates are three times as likely to have very high income than their equally qualified classmates from low SES circumstances. This certainly suggests that elite universities fail in the democratic ideal of leveling the playing field for persons of talent. So it isn’t really possible to answer the simple question with a simple answer: do modern educational systems in democracies level inequalities or increase inequalities? It would seem that they do some of both; they provide access to disadvantaged people who can then leverage success for themselves and their families, and they also create mechanisms of recruitment into elite organizations that are anything but egalitarian.